I start in race one, with PINK PERFECTION for Nikki Burke. I rode her for the first time last start when she was beaten just over half a length at Flemington. I think she will benefit with coming back in trip and going around a bend. This is a very competitive race and if she holds her form she is one of the main chances. GOLDEN MANE is my ride in race three, for David & Ben Hayes & Tom Dabernig. He ran third in this race last year. He has come up with an outside barrier draw and his usual run style is to get back and run on late. It is a very competitive race and he will need a lot of pressure up front and that the tracks allows you to come from behind. If you can, he will be closing off late. FIFE is my ride in race five, for Robert Smerdon and Qatar Bloodstock. Her first up run she really didn’t handle the racing under lights at Moonee Valley. Since then she has had a lot of time between that run and today and she has trialled extremely well at Cranbourne at her latest official trial. If she finds her right form and if the track has any give in it, it would benefit her chances. Race six, the Hareeba Stakes, I ride RELDAS for Robert Smerdon. He has had two runs this preparation and both have been good. He has come up with a very favourable barrier draw and if he has any luck in running he is one of the main chances in a race where every horse has a solid chance of winning. THE GOLDEN TRAIL is my ride in race seven, the Mornington Cup, for Charlie Appleby and Godolphin. In Europe he is known as Gold Trail. He has won his last two starts at this distance and at his latest he won at Meydan in Dubai. The horse he beat, went on to defeat the highest rated horse in Europe. If he brings that form to Australia which looks like he has in his work, he is the horse they all have to beat. The winner of this race, is exempt from the ballot for this year’s Caulfield Cup which was the idea of the trainer to target this particular race. In race eight, the Mornington Guineas, I ride RED IS THE ROSE for David & Ben Hayes & Tom Dabernig. She was ultra-impressive winning her maiden two starts ago at Sandown. She then stepped up to Group 2 company and was only beaten less than two lengths behind I Am A Star. She has come up with an outside barrier draw but if she doesn’t have to do too much work she is going to take a lot of running down. Race nine, I ride MATERNAL for John O’Shea and Godolphin. I have only ridden her once which was last start for a victory and she went for a spell after that run. She was ultra-competitive last preparation.and she has trialled twice in Sydney leading into this run and did close off nicely at her latest one. She has had three runs first up for a win and a second. This looks like the right distance range and if she brings her usual competitive form to the races she can start this preparation off on a winning note. DEMOLITION is my ride in race three, for John O’Shea and Godolphin. He is a very consistent horse as he has won half of his race starts and was undefeated last preparation. He has had three barrier trials leading into this first up run so he is extremely fit and ready to go. They have sent him down to Melbourne as he is looking for dry ground but he has come up with the visitor’s barrier, drawing the outside gate. It is a small field and the draw is a big negative but if he can have some luck he will be in the finish. In race four, I ride BULLPIT for Danny O’Brien. He is coming off a last start second at Flemington where he seems to run his best races of late. He has drawn wide and is an on-pace horse and has to be ridden that way. It always means he is working from outside draws but he is speedy and on his best from he will be competitive. 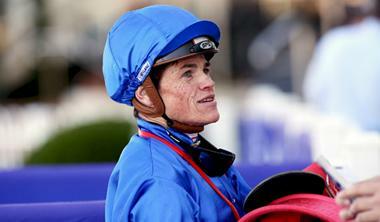 FRAGNARD is my ride in race five, the Alexandra Stakes, for John O’Shea and Godolphin. She has had two runs this preparation and has come up with a favourable barrier draw. She controlled the race and led all the way first up this preparation. Since then she came to Melbourne and ran well in the Kewney Stakes at Group 2 level. She steps up to 1600m for the first time and I expect her to make her own luck and be there for a long way and hold off the rest. HOOKED is my ride in race seven, the Group 1, William Reid Stakes for Robert Smerdon and Ultra Racing. He resumed with a narrow defeat first up. He now steps back in trip, steps up to WFA company and has come up with a wide barrier draw but he has won at the track as well as the distance. If he doesn’t have to do too much work from the draw he will be there for a long way. I start in race two, with ART SHE QUICK for John Sadler. She is still a maiden after five starts. She has come up with a favourable draw and she is quite keen in running. She has been very consistent without winning and this will be a good race, all going well, to start her off on her winning way. ALASKAN SUN is my ride in race three, for Robert Smerdon. She was successful at her first race start and since then she has been very consistent without winning. It looks like she is building to a win this preparation and has come up with a nice barrier draw. There looks to be nice pressure which suits her as she is a good closer and she should make her presence felt in this grade with no weight. In race five, I ride OUTDONE for Richard Laming. He won his first start this preparation in a dominant all the way victory at Kyneton. Since then he has been on speed until his latest run when he closed off really well when ridden differently. It will be interesting to see what instructions I’m given as he is versatile and has come up with a good barrier draw. SACRED SHAM is my ride in race six, for Danny O’Brien. He trialled extremely well on soft ground before he won on debut at Kyneton where he was impressive. Even though it is difficult to win two races in a row when heading to the city at your second start, he has been placed well as this is a BM64. He has great scope and looks like a horse that could be two on end. Race seven, I ride GOLD SEAL for Paul Preusker. He has been a very consistent horse this preparation and he gets to a trip that he has had one start for one win at. He has performed very well at Sandown and with luck in running he will be competitive again. Today I’m in Hong Kong and riding at Sha Tin. It is there biggest local day with the Hong Kong Derby being run. I start in race two, with WINNER ST PAUL’S for Dennis Yip. He is dropping down in grade and has to carry a big weight. If I get luck from the barrier draw, with the drop in grade, he is good enough to win this Class 5 race. G-ONE LOVER is my ride in race six, for Danny Shum. He is in great form as he won by three lengths last Saturday. He stays in the same grade, but goes up in weight and he has come up with a very favourable barrier draw. He led and made all last week and if I can use the draw and not have too much pressure, he should take a lot of running down. In race seven, I ride STAR MAJESTIC for Paul O’Sullivan. He has been a very consistent performer. He won four races three seasons ago, won one last season and this season he has just dropped into a grade he has won at before. He does have a big impost of topweight but the step up to 2000m will suit him. He has come up with a nice barrier and if I can have him forward in a nice position, he should be there for a long way. PRAWN BABA is my ride in race eight, the BMW Hong Kong Derby, for John Size. He was impressive winning his last start and for that he received a boost of 11 points which got him into the race today. He has always been a very competitive horse who was originally trained in Australia by Darren Weir and was called Get the Dukes Out. Since being in Hong Kong he has only missed a top two finish twice. He has come up with a nice barrier draw, he is very solid, and looks like the 2000m will suit him. If horse 1 & 3 don’t show up it becomes a very open race on form. My horse should be very competitive and he does come into this race with confidence off his last start victory. Race nine, I ride HANG’S DECISION for Chris So. His form this preparation has been excellent. If he can have luck from an outside draw he will be one of the horses charging home late. He is competing in a very strong Class 3 sprint race but all going well he is a horse who will be strong late. In race ten, the last race, I ride WATER DIVINER for Francis Lui. When I was in Hong Kong at the end of last season, I was successful on him at the International meeting. He has had a couple of runs since then and ran well. He is also up in grade since then but he does drop nicely in weight, has come up with a favourable barrier draw and I expect him to be competitive. Today is Golden Slipper Day and they have had a lot of rain over the last two weeks and will be racing on a Heavy track. I start in race one, the Manion Cup, with BIG DUKE for Darren Weir and Australian Bloodstock. He is coming off a last start win in the Launceston Cup. He has had three starts on soft ground and hasn’t missed a place so he should handle the conditions. He has been competitive since arriving from Europe and is one of the main chances with a light weight. RAIMENT is my ride in race two, for John O’Shea and Godolphin. She is a 3yo filly taking on the older girls. She has the minimum weight, has excellent form and has trialled nicely coming into this. She has drawn wide but she seems to overcome bad barriers with her good tactical speed and she will take a lot of running down. In race three, the Darby Munro Stakes, I ride GENERALISSIMO for Garry White. He is a consistent horse and I’ve had the opportunity of riding him last year. He has come up with a favourable barrier draw and ha won on Heavy ground. There looks to be nice pressure up front which should give himself every chance. COMIN’ THROUGH is my ride in race six, the Rosehill Guineas, for Chris Waller. Comin’ Through is Criterion’s brother and I was able to ride him in work on Tuesday and get a better understanding of him. He is going very well, he can get through Heavy conditions. He is in really good order and his form is strong enough to win this. Race seven, the Golden Slipper, I ride CATCHY for David & Ben Hayes & Tom Dabernig. 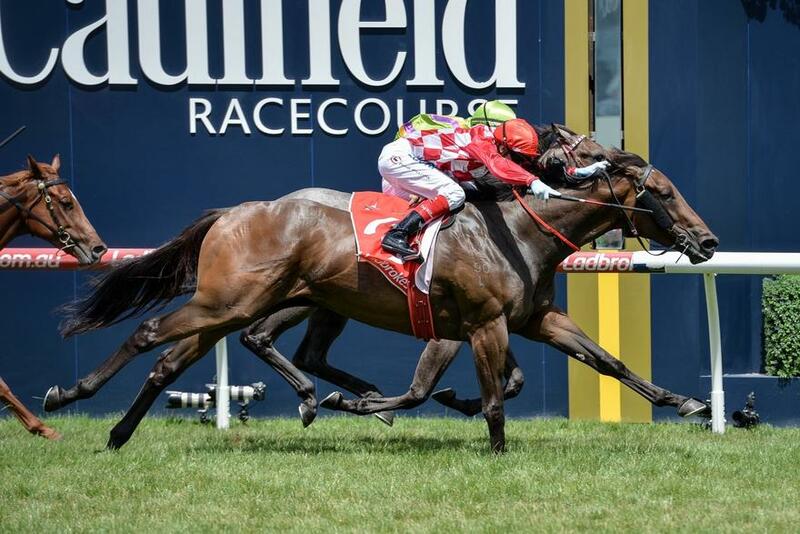 I love the way she won the Blue Diamond and she is undefeated, four form four. I was really taken by her performance and how dominant she was late last start. She hasn’t had the opportunity to go right-handed but I feel she is smart enough to adapt quite well. She has come up with a middle barrier draw but there is a query if she will handle the wet track. Her mother, Cat’s Whisker, was successful on wet ground and she was by Fusaichi Pegasus, who could run on all surfaces. My feeling is even if she doesn’t handle it, she only knows how to do her best and loves to compete. If I went to war with a horse, I would love to go with her. I’m really looking forward to this race. SUPIDO is my ride in race eight, the Galaxy, for Mick Kent. He now steps back to handicap conditions where he is very well treated with a low weight. He has come up with a great inside barrier draw, he handles heavy ground and there looks to be high pressure in this race which should suit him. He is one of the main chances in this Group 1 handicap. In race nine, the Black Epona Stakes, I ride GABELLA for David & Ben Hayes & Tom Dabernig. I was pleased with her first up performance, she now goes back to mares grade and is well treated at the Set, Weights & Penalties conditions carrying only 1kg over the minimum. This is a race that she can win in the form that she is in. She has come up with a favourable barrier draw, should be able to find herself close to the speed and does have Heavy track form. I start in race one, with EXPLOSIVE WITNESS for Greg Eurell. He is having his first race start. He did trial officially last year and was gelded after that. I have jumped him out on two occasions this preparation and have been impressed in how he has gone. If he brings his trial form to the races, he will be starting his racing career off with a win. DEMONSTRATE is my ride in race six, the Abell Stakes, for John O’Shea and Godolphin. He is resuming and even though he hasn’t won at his first four first up attempts he has only missed a place once. He has won at the track and three times at the distance. He has come up with a nice middle barrier draw, has trialled nicely coming into this and on the minimum weight, he is the one they have to beat. In race eight, I ride TAN TAT BEAUTY for Henry Dwyer. Her only disappointing run was last time when she pulled up with throat issues. She is now resuming and she has raced well at this course and distance before. I’m looking forward to seeing how she has come back after her rest and it will be a good indication of where she is going. I have felt she is a black type filly and if she has come back and improved she should make her presence felt and be one of the main chances. I start in race one, with CHERON WARRIOR for Peter Healey. He has been knocking on the door to win his maiden this preparation with two placings. He had the blinkers on when he resumed and was a little wayward and then they were removed last start where he closed the race off well. He now steps up in trip and has the blinkers back on. He has a favourable draw in barrier one and if the blinkers sharpen him up he is one of the chances in this competitive maiden. RIBBON OF CHOICE is my ride in race four, for Brian Gentle. He is a very consistent horse but only has one win to date. Again, he has come into quite a strong BM70 3yo race but I’m hoping he can use the inside barrier draw to his advantage and be competitive with luck in running. In race five, I ride JILEKS SPUR for David & Ben Hayes & Tom Dabernig. He is a 4000m winner and has only won between 2000m & 4000m so this trip is in his winning distance range. Obviously, he is heading towards a jumping campaign and these marathon races have a very competitive group of horses he should make his presence felt. GOOD OH is my ride in race six, for Mick Kent. I was impressed with her performance when she won on debut at this track. She now steps slightly up in trip and she still has a lot of natural improvement and experience to come from her first outing. If she has come on, she could make this two from two but it is a very strong race. Race seven, I ride UNBREAKABLE for John O’Shea and Godolphin. He is resuming and has trialled up nicely coming into this race and if he brings his good fresh form he will be going close in this. In race eight, I ride DANCING HARE for Lee & Anthony Freedman. She is a 3yo filly taking on the older horses but it does fit well into her preparation. If she measures up, she is on a South Australian Oaks path. She has the addition of blinkers but does have a wide barrier draw to overcome. I expect her to improve from her first up run where she ran well and I’m hoping the blinkers sharpen her up but she will need some luck form an outside gate. Today I fly to Canberra for their major meeting of the year to compete in the 2yo Black Opal Stakes. My ride in the race is CHAUFFEUR for Gerald Ryan. He was a very expensive yearling, where he sold for $1.6 million. He has had three starts and never missed a place. His latest effort was a fast finishing second to Houtzen in the Magic Millions. He has had a freshen up and finds himself in this competitive race having drawn barrier three. He is a horse that always seems to have a very good acceleration at the end of the race and I’m really looking forward to the ride. RELDAS is my ride in race two, for Robert Smerdon. He resumes here and has very good fresh form. He has competed well down the straight before and if there is any chink in Heatherly’s armour he could be the one finishing hard. In race three, I ride SEIZED for John Sadler. He debuted with a second behind a very smart horse at Moonee Valley. I have ridden him in a piece of work leading into this and he is a very intelligent, competitive horse and I expect him to handle the straight course. This is a very competitive race but I expect him to be one of the main chances. PORTMAN is my ride in race four, for Danny O’Brien and Qatar Bloodstock. He has had four runs this preparation for three wins and a second. He has had a freshen up and trialled extremely well coming into this. He has come up with a favourable barrier draw and has been well placed again as he is on the minimum weight. He also goes up in grade but I expect him to handle that and he is the one they all have to beat. Race five, the Group 3, Frances Tressady Stakes, I ride TURBO MISS for Darren Weir. She is up in grade but does have the minimum weight. She has drawn a favourable gate and should see herself in the first four in an evenly run race. Her last win was over this trip and she should be very competitive. 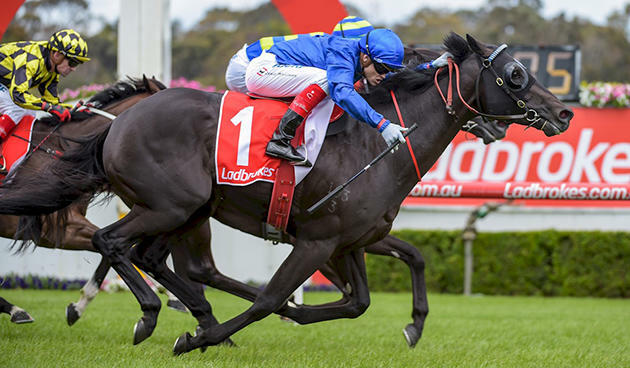 MORTON’S FORK is my ride in race seven, the Group 1, Australian Guineas, for John O’Shea and Godolphin. 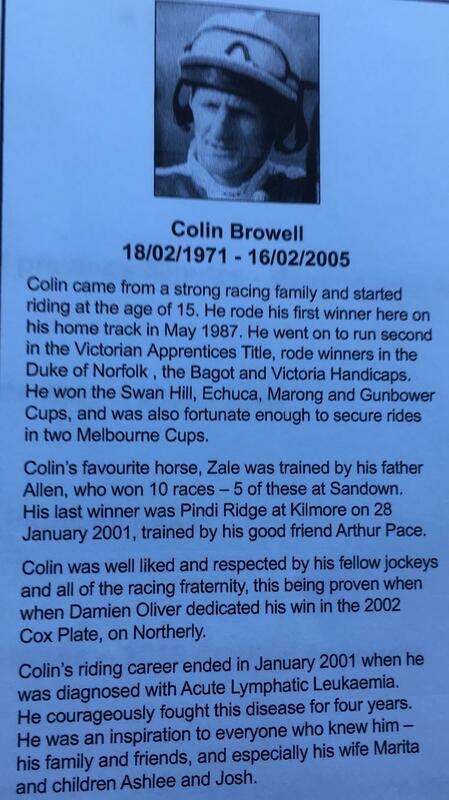 The last time he was at this trip he ran second in the Carbine Club and then won the Sandown Guineas. He has had two runs this preparation and raced well and I expect him to run better stepping up in trip and he will be fitter. Unfortunately, he’s drawn the outside barrier and he will need some luck. In this very open and competitive addition of the Guineas, with luck on his side, he will be there at the finish. In race eight, the Roy Higgins Quality, I ride POST D’FRANCE for Stephen Brown. He beat me last start when I rode Hursley and he had great acceleration late. This is the first time he is out to this extended trip but his trainer is very confident that he will handle the trip and is happy how he has come through his last start win. He has the minimum weight, has a reasonable barrier draw and should be competitive in this strong staying race. Race nine, I ride MR SNEAKY for Lee & Anthony Freedman. He has been a very consistent horse his whole career. Even though he has drawn a wide gate, the less time in the barriers, I’m hoping he can begin fast and put himself in an advantageous position handy to the speed. He will still need some luck but if he doesn’t have to do too much work I expect him to be strong late. I start in race one, with GOOD OH for Mick Kent. She is a Duporth filly on debut. I always respect when Mick Kent starts his maidens in the city. I haven’t seen any official or unofficial barrier trials so I am looking forward to the ride. In race five, I ride NEMRUD for John O’Shea and Godolphin. He won first up this preparation. The extended trip of today should benefit him. I have ridden him in work at Moonee Valley and feel the big track of Sandown will suit him. If he runs up to his Dulcify run, he will be winning this. HEZA DUDE is my ride in race six, for Udyta Clarke. He is a very consistent horse who has come up with a favourable draw in only a small field. He usually gets back off a hot pace but it doesn’t look like that scenario bur he never runs a bad race and I expect that again today. In race eight, the last race, I ride ATLANTIC CITY for Mark Kavanagh. He only has six opposition, he is in great form, has the minimum weight so he can make his own luck and I expect him to be winning. I start in race three, with TAN TAT WISH for Henry Dwyer. She is a Wanted filly having her first start. I haven’t sat on her but I’ve seen two of her jumpouts and she has reasonable speed and has been hard ridden on both occasions. This is a strong maiden and I look forward to see how she acquits herself under race conditions. KISS ME CANDY is my ride in race four, the Colin Browell Memorial Plate for Henry Dwyer. She has been in great consistent form without winning. She has had a slight freshen up and she is back in trip. Looking at her form this looks like a race where she can breakthrough and get her first win on the board. In race five, I ride AMADEUS for Mick Kent. He has been freshened up since his last start when he finished second at Caulfield. He has had a freshen up and he has been aimed at this race as it a heat race that leads into a final. He has drawn an outside barrier and will be giving some these horses with stronger form a head start but if the track is playing fairly that allows horses to close off, he can pick them up late. I have a lot of time for him and this race should put him in good stead for the final. I start in race one, with GOLDSTREAM for Darren Weir. He is an imported horse who should take confidence from his last start victory and he looks like his racing manners have improved this preparation having learnt to settle better. He jumps from the inside gate and I assume he will be ridden similar to last time where he can control the race on-speed and he should take a lot of running down. GRATWICK is my ride in race two, the Zeditave Stakes for Darren Weir. I was successful on him last time at Moonee Valley where he made all the running. He has come up with the outside barrier so I will need some luck from there. Being fresh seems to be the key to his success. If he has come on from his last run, he should be able to make this next step. In race three, the Autumn Classic, I ride TRENCHANT for John O’Shea and Godolphin. He has had two runs this preparation so he should be improved with fitness and now comes back against the 3yo’s and goes up in trip which should suit. He has come up with the outside barrier so I assume I will be asked to ride him quiet and let him finish off. There does seem to be pressure in the race and if the track is playing even it will give him a chance to close off. I expect him to find his best form, and if he does, he will be very competitive. FUHRYK is my ride in race four, the Angus Armanasco Stakes, for David & Ben Hayes & Tom Dabernig. She has won all her starts at 1200m this preparation and she now steps up to 1400m for the first time. If she handles the step up in trip, she is the one to beat. She is a very tough and honest filly with very good ability. Race five, the Futurity Stakes, I ride TOSEN STARDOM for Darren Weir. He has one start in Victoria last preparation and he’s very competitive at the top level. He is now resuming but has never won under 1800m but because he has been prepared in Australia for over 12 months he would have had enough barrier trials to be used to the Australian way and I expect him to be competitive at 1400m. If he is, it will place him well for the Autumn. He is a top-class horse and I’m looking forward to him running well in this quality field. TALLY is my ride in race six, the Peter Young Stakes, for John O’Shea and Godolphin. His first up run was excellent and he now steps up to WFA company. He has come up with a favourable barrier draw which he should get every favour from and will be ridden comfortable to the pace. I expect him to be competitive in this Group 2 race with Group 1 horses. In race seven, the Blue Diamond Stakes, I ride CATCHY for David & Ben Hayes & Tom Dabernig. She is three from three and she does remind me of Miss Finland ever since I sat on her for the first time. She is such an honest and high quality filly taking on her toughest assignment and she does have to overcome a wide barrier draw but I expect her to handle all challenges in front of her. This is a very competitive race this year and with luck form the draw she can make it four from four. Race eight, the Oakleigh Plate, I ride I AM A STAR for Shane Nichols. I was very impressed with her first up performance. She is a Group 1 winning filly beating the older mares. Second up, she is back to a handicap where she only carries 50kg but she is taking on some quality sprinters. She will need luck from the very wide draw but if she does get some luck I expect her to be finishing off hard. 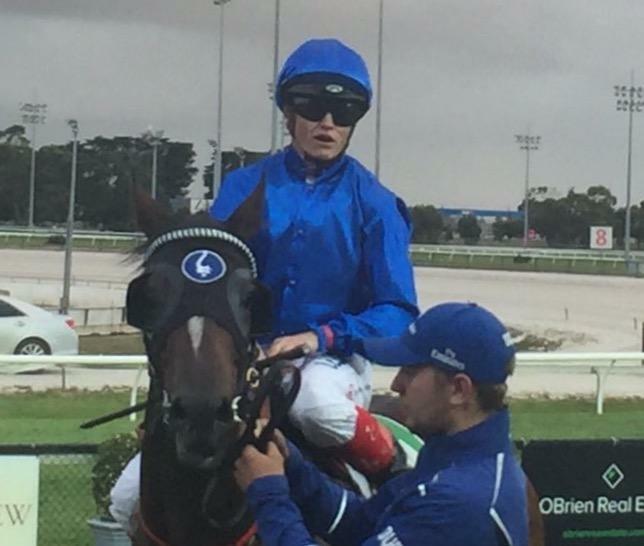 In the last race, the Mannerism Stakes, I ride SILENT SEDITION for Andrew Noblet. She is now second up after only being narrowly defeated first up. She is always competitive and never runs a bad race and she has trained on nicely. With luck from a tricky middle gate she can win. I start in race four, with VERSTAPPEN for Danny O’Brien. He has always shown above average ability and I felt last preparation even though he did win, I put down his disappointing last start performance down to the fact he was too colty. Subsequently, he has been gelded and I have been delighted with his attitude and his trials have been solid coming into this. He is undefeated fresh, has come up with a nice barrier draw and in this competitive race, if he brings his morning work, he should register his third career win. GALLANT HARMONY is my ride in race five, for John Sadler. I rode him when he resumed last preparation from a long layoff over the same course and distance when he closed off well to run third. He has come up with a wide barrier draw but I expect him to be hitting the line hard. He is one of the main chances if they run at a high speed allowing him to finish off and get home over the top of them fresh. In race six, the Distance Final, I ride ONCIDIUM RULER for Mick Kent. He is back in grade from running a close third in Saturday company. A slight step up in trip and a favourable barrier draw is the key to seeing him winning his second race this preparation. MAGNATTI is my ride in race seven, the Typhoon Tracy Stakes for Wez Hunter and wears the Robert Crabtree colours. She is three from three and she won here against the older mares last time. She now steps up to the 1200m for the first time but has come up with a favourable barrier draw which will give her every opportunity as she has good early tactical speed. The stable is very confident she has come on from her last performance but she will have to as this is a step up in grade and the strongest opposition she has faced to date. I start in race three, with DANCING HARE for Lee & Anthony Freedman. I’ve had one ride on her for a win when she was on debut at Bendigo and the stable has a strong opinion of her. She had one more run that preparation and was only narrowly beaten into third. She now resumes at 1600m, comes up with an inside barrier draw but this is a very competitive 3yo Fillies race. This will be a good guide where she fits in this Autumn Carnival with a view to running in Oaks races. CONSOMATEUR is my ride in race five, for Mick Kent. I rode her last time when she resumed where she was slow out and outsprinted when they quickened but she really ran through the line solidly. She has the benefit of that first up runs and now steps up marginally in trip which will suit her. It is only small field but there looks to be high pressure up front which also suits as they won’t be able to outsprint her. I expect her to have come on from her last run and will be hitting the line hard. She definitely gave me the feel of a mare with very good ability. In race six, I ride GAUTENG GAL for Rachael Cunningham. She has been very consistent this preparation. She has a favourable barrier draw and in this competitive race she will get an economical run throughout. NEW SUMMER NIGHT is my ride in race seven, for David & Ben Hayes & Tom Dabernig. She is resuming after a light freshen up where she was very competitive through that last preparation. She is coming back in trip and the last time she won was at this course and distance. She can sometimes be very slow out of the gates so if I can be on top of her and not give away too much of a head start, I expect her to be hitting the line solidly. Race eight, I ride QUILATE for Mick Kent. Her first up run this preparation she closed off nicely at Moonee Valley. She now steps out to a trip where she is most competitive and at a track where she has won. She has come up with an inside barrier draw, is ultra-consistent and I expect her to be no different in this small but competitive race. I start in race one, with PURE PRIDE for Murray Johnson. She is a quality mare as we saw through the Spring when she wasn’t beaten far in the Group 1 Myer Classic. She is resuming this preparation and she has come up with a favourable barrier draw but she does get back so she will need luck. If she does get that luck, she is clearly the best horse in the race and the one to beat. SANADAAT is my ride in race four, for David & Ben Hayes & Tom Dabernig. She was impressive on debut when winning in Adelaide and now comes across to Melbourne. She looks a very solid filly and I expect her to have come on from last start win and be one of the main chances. In race five, The Vanity, I ride EXTRA OLIVES for Lee & Anthony Freedman. It is a perfect time for her to target Group 3 company. She is in great form, winning her last two starts with the last one being at this trip. She drops in weight and is meeting horses with stronger form but she is fit and in form and she will be there for a long way. MORTON’S FORK is my ride in race six, the C.S Hayes Stakes, for John O’Shea and Godolphin. He will appreciate getting out in trip and to the bigger track at Flemington. He has a favourable gate in barrier two and will definitely make his presence felt. Race seven, I ride HURSLEY for Chris Waller and Qatar Bloodstock. 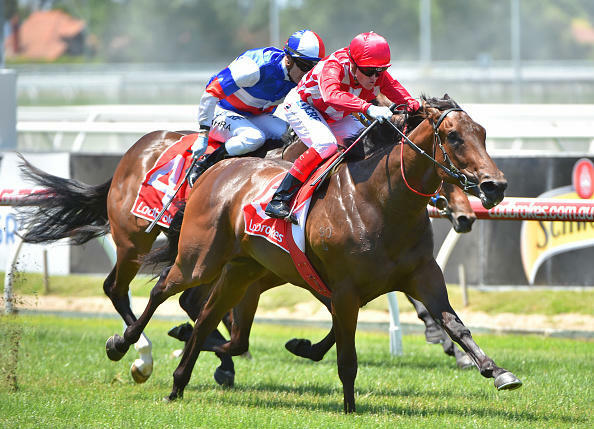 He has had two runs back and in a slow run race last time he wasn’t able to get out in enough time and prior to that he closed off hard at Moonee Valley. He is in great form, will appreciate the big track and he is one of the main chances. DIVINE MR ARTIE is my ride in the last, race nine, for Brendan McCarthy. Last start was a slowly run race and he was interfered with at the top of the straight. He now steps out slightly in trip and has come up with a good draw so he should get a good run throughout. In this competitive race and with good luck he should be there at the finish. I start in race one, with BALLE D’OR for Robert Smerdon. She still isn’t a straight forward ride as she is aggressive in her races. She has competed well at Moonee Valley and if we do get luck from the barrier draw, with her experience from her two starts, she can win this as long as she puts it all together. ROSE AHEAD is my ride in race five, for Mark Kavanagh. She has only had two starts where she won on debut and then I finished fourth on her last time in a very strong rating race at Sandown. She now has the addition of blinkers back on where she will make her own luck. If she has come on and the blinkers work, she is one of the main chances. In race six, I ride BIG MEMORY for Tony McEvoy. He was narrowly denied victory behind Chance To Dance last start and he know meets that horse 1.5kgs better off. He has won at the course and distance and races forward. If I can get him to be not too aggressive through the middle stages of the race and save some energy for the run home, he can win this solid contest. I start in race two, with PRINCESS TITANIC for Robert Smerdon and Ultra Racing. She is having her first start as are four others and the raced horses have strong form references. My filly trialled nicely last week at Cranbourne where I rode her in a 990m trial. She will be improved from this experience and she gave me a feel she would be a nice 3yo. She will get into a forward position and if she handles the day well, she will run solidly. MY SANCTUARY is my ride in race three, for Darren Weir and Waratah Thoroughbreds. She is having the blinkers taken off as she was keen with them on last time. She is stepping slightly up in trip for the first time, has a favourable barrier draw and on her best form she can win this. In race four, I ride BATTLECAMP for Lee & Anthony Freedman and Eales Racing. He has the blinkers on for the first time and the stable is very confident that they will make him focus more. He has high potential but he hasn’t won for over 500 days. This is a suitable race for him with the step back in trip and class. If he wins today it will give him confidence and put him on a path to winning better races. KISS IN THE RAIN is my ride in race seven, for Darren Weir. I rode her last time where she was very keen and didn’t get any cover form the outside barrier draw. She has a favourable draw today and will make her own luck. She is a well bred mare and it would be lovely to get her a city placing. In the last, race eight, I ride SHOCKAHOLIC for Matt Laurie. He has come up with a favourable barrier draw but sometimes he is slow out so I will need to be right on the ball so I don’t lose that advantage. When he does find his right form, and have luck in running, he can definitely win a race of this class. I start in race two, with PEACOCK for John O’Shea and Godolphin. I was very pleased with his first up performance as he was taking on the WFA horses at Group 2 level. He is now second up, has come up with a nice barrier draw and is undefeated at the course and distance. In this competitive race, he is the one they have to beat. CATCHY is my ride in race three, the Blue Diamond Prelude (Fillies) for David & Ben Hayes & Tom Dabernig. She gives me the feel that she is in the mould of Miss Finland. She is two from two but she has come up with a wide barrier draw and I believe the instructions will be too give her a chance like her debut performance when she drew the outside and was ridden back. She has the addition of winkers going on to help her travel. The two main chances appear to be drawn in and will be riding the speed so I will be giving them a head start but I look forward to her having a target to chase and really lowering down and showing her sprinting ability. I will be disappointed if she doesn’t run them down. In race four, the Blue Diamond Prelude (Colts & Geldings) I ride PROPERTY for Robert Smerdon and Price Bloodstock. He ran second to Catchy on debut and then won last start at this track. He has come up with a favourable barrier draw and the stable has been happy the way he has trained on. He is one of the main chances in this open 2yo race. FUHRYK is my ride in race five, the Kevin Hayes Stakes, for David & Ben Hayes & Tom Dabernig. She has been ultra-consistent this preparation and is undefeated at 1200m. She was beaten last start when she went back to Flemington and back in trip. She is now back to her right distance, has come up with a nice barrier draw and with a smooth run throughout, this is another race she can win. Race six, the Rubiton Stakes, I ride I AM A STAR for Shane Nichols. She is a lovely 3yo filly taking on the older horses. At her last start she was victorious in the Myer Classic when she beat the mares over 1600m. She now resumes and has excellent fresh form and has come up with a great draw in barrier one. I was able to ride her in a barrier trial on Tuesday and loved the way she felt and ran for me. She will get an economical run from the gate, stalking the leader which will be Wild Rain and she can win this race. AROD is my ride in race seven, the Group 1 C.F. Orr Stakes for Chris Waller and Qatar Bloodstock. I was impressed with his first run in Australia in the Spring with a big weight and being posted wide but he still stuck on for a gallant effort. Chris Waller has had him for this whole preparation and he has had two barrier trials in Sydney and now comes to Melbourne. He has come up with a favourable barrier draw in one so he will get an economical run, is on top of the ground which he loves, so hopefully we get to see him at his best. This will give us a good indication of where he goes this Autumn Carnival. 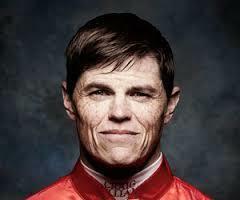 Race eight, the Carlyon Stakes, I ride DIVINE MR ARTIE for Brendan McCarthy. He had no luck last time where he couldn’t get clear, which if he had of he would’ve won. He now steps up to this Group 3 SW&P and does meet a few rivals worse off at the weights due to his rating but he always runs his best races at Caulfield. He has a nice draw and I expect him to be competitive as usual. SILENT SEDITION is my last ride, in race nine, the Bellmaine Stakes for Andrew Noblet. She is a model of consistency and the last time she resumed she ran second at this course and distance. Due to her consistency, she has to carry the top weight. She is first up and has an outside draw but like always, if she doesn’t win she won’t be far away. She will improve after this run into her preparation but she doesn’t know how to run a bad race. I start in race two, with DISSOLUTE for John O’Shea and Godolphin. He is a horse that I have a big opinion of but has failed to deliver on. He is now a gelding and I trialled him a couple of weeks ago, and I was very happy with his attitude. If he brings his morning form to the races and has luck from an inside barrier, we will hopefully get see his true ability and he will be winning. VILLA ROSA is my ride in race three, for Ciaron Maher. I was very impressed with her debut win. This is a different assignment and she now steps to city grade in a very competitive race. She has also come up with a wide barrier draw but she deserves to take her place in this field. In race four, I ride ARCTIC FLOW for Darren Weir. He is coming of a confidence boosting last start win, is on the quick back up and has come up with a nice barrier draw. In an even race, he looks like a horse that is going to be winning more races. CRY IF I WANT TO is my ride in race six, for Mick Price. She has been closing off her races and steps up 100m from her last start performance. She has come up with an inside barrier draw and the faster they go the more it will suit her as she is an out and out stayer. It would be great to give her a confidence boost with a win as she has run some great races in good company but only has one win to date. Race seven, I ride FIFE for Robert Smerdon and Qatar Bloodstock. She is first up and she did trial well coming into this race but it was on her preferred soft ground which she won’t be getting tonight. She is an ultra-consistent horse who throughout her career has only missed a place once.She is a lightly raced 4yo who is very well bred and the family usually gets better with age. Her firm ground form is good enough to win this if she is forward enough and gets luck from an outside barrier. I start in race three, with CONSOMMATEUR for Mick Kent. She is resuming, ultra-consistent and never been out of the top three. She looks like a staying type and I expect her to have come on and improved from her first preparation. HOT SEAT is my ride in race four, for Brian & Ashley McKnight. He has run second at his last two starts and his most recent run was at this course and distance where he put in a good performance. He has gone up half a kilo, has come up with a nice barrier draw and should be able to control the race from a forward position. The only concern would be how he backs up within seven days. If he does back up well, he is the one they will have to pass in the straight. In race five, I ride MALAISE for John O’Shea & Godolphin. He had his first run in Melbourne this preparation when he ran second in a strong BM78 race and now he drops down to a BM70 but he is taking on the older and seasoned horse. However, he looks to have good ability and from a good draw and low weight, he can win this race. THREE STRYKES is my ride in race six, for Simon Morrish. She is having her first start at this distance and has come up with a great draw in barrier where she will get an economical run. She is also coming back sharply in grade from a BM84 on a Saturday to a BM70 midweek. She also has a light weight being 1.5kg off the minimum. She will have every chance and be one of the main chances in this very competitive staying event. Race seven, I ride RAPTOR for John O’Shea & Godolphin. I was impressed with his debut victory at Cranbourne. The stable has said he’s come on from that with experience and confidence. I’m looking forward to seeing how he competes in city grade at his second start. In the last, race eight, I ride GALA MOSHEA for Brett Conlon. She is still a maiden but she has strong form around her with horses that have been competitive in city class. This is a very strong 3yo event but I expect her to make her presence felt. I start in race one, with HOT RUBY for Luke Oliver. She has been a model of consistency this preparation. She now has the blinkers applied again, is back in trip and has a very favourable barrier draw. If the blinkers do the trick, she’ll have a very economical run and will be very hard to hold out. HURSLEY is my ride in race two, for Chris Waller and Qatar Bloodstock. I was very impressed with his last start at Moonee Valley and the two horses that beat him home will be favourites in the Hobart Cup tomorrow. He is back to a track that he loves, has a favourable barrier draw and does drop in weight from last time. If he brings the same performance as last start he will be winning this. In race three, I ride ONCIDIUM RULER for Mick Kent. He drew awkward last time and didn’t have any favours in the run and was just narrowly defeated. Again, he has come up with an awkward barrier draw and in a small but competitive race he is one of the main chances. JUKEBOX is my ride in race four, for Ciaron Maher and races in Colin McKenna’s colours. I was impressed with his debut performance at Geelong and I felt he had a lot of improvement physically to come from that success. He is a very intelligent horse, has very good ability and I expect him to make the next step and be winning this. Race five, I ride FORMALITY for David & Ben Hayes & Tom Dabernig and races in Coolmore colours. She was very impressive at Werribee and now steps up to Stakes grade. The stable is very confident with her ability and that she will measure up. She has come up with the outside barrier but she has a lot of speed and all going well it looks like she can make it two from two. MORTON’S FORK is my ride in race seven, for John O’Shea. He is resuming after winning the Sandown Guineas at the end of his last preparation. He is a high quality 3yo and his usual run style at this short trip is to get back, so he will need a lot of luck from an inside barrier draw. If the race is run to suit him, I expect him to show his competitive spirit and ability and be very competitive. LADY ESPRIT is my last ride, in race eight, for Ciaron Maher She is mare in form after winning her last two starts. She had favourable draws which she has again. She had a perfect run in her last two wins and burst through at the right time, both at Moonee Valley. She gets to Caulfield now and is up in grade but loves the distance, is a mare in form and on the minimum. With luck in running, she should be very competitive. 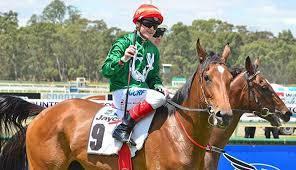 Tonight, I ride at Moonee Valley with the Australian China Jockey Club in conjunction with Moonee Valley Race Club and Melbourne Football Club celebrating Chinese New Year. SEE WHAT I BRING is my ride in race three, for Symon Wilde. He has been a model of consistency this preparation and has run well at this course on two occasions this time in. He has a middle draw and although it’s a small field, there does look to be enough pressure to give him a chance to finish off strongly. He is clearly one of the main chances. In race six, I ride MAGNATTI for Wez Hunter and races in the Crabtree colours. So far, she is undefeated in her two starts. She is a speedy filly resuming and is taking on the mares. I did trial her at Mornington and had a barrier incident and it was the first time she has been in behind horses but it was good to see her still finish the trial off. She has come up with the outside barrier draw but she is the one they all have to beat. I ride SOVIET COURAGE for Chris Waller in race seven. He was disappointing on face value last time and he has come up with a wide barrier draw so I won’t be surprised if I’m asked to ride him quiet. The last time he drew out he was ridden back and was successful coming through the field at Rosehill over 2400m. He has had one start at the track and distance for a third and it is good to know he can handle this tricky course. Today we race at Sandown on the Lakeside track for the first time since they’ve done renovations to hopefully offset the slipping that has occurred recently. I believe they have also taken away the dip and cambered it differently, so I’m looking forward to see how it races. I start in race three, with KOOLAMA BAY for Clinton McDonald. He has had a three week freshen up since his last run. The last time he did that he was successful at Bendigo. He now has the blinkers off, as he is a keen going horse. If I can get him into a nice rhythm in this small field, he has strong enough form to be in the finish. AURA LEE is my ride in race six, for Robert Smerdon. It is a long time since she has won a race. She is quite an awkward filly to ride looking at her replays but hopefully she races kind for me. If she does, we can utilise barrier one and hopefully have a very economical run throughout. In race seven, I ride ROSE AHEAD for Mark Kavanagh. She is one for one, winning her only start at Werribee. She now steps up slightly in trip but has to contend with an outside barrier. This is a very even race but if she shows improvement from her first dominant win, she will be one of the main chances. In the last, race eight, I ride KISS IN THE RAIN for Darren Weir. It was reported she didn’t handle the Heavy 8 track last time. If I go back three starts back to Echuca when she was beaten a length running fifth, the horse that finished second in that race is topweight in this race and is one of the main chances who I meet a lot better at the weights. She will need luck form an outside barrier and if we get that, with a low weight and finds her best form she will find herself very competitive in this event. My only ride for the day is in race one, on SIAM for John O’Shea and Godolphin. I trialled him before his first race start and I liked the way he felt. He feels like a horse who is going to get out over a longer distance but he can still be a get back and run on sprinter. His first start was at Caulfield behind Catchy and Property and both of those are top of the markets in the Blue Diamond. He now has the experience and he pulled up a little distressed from that run on what was a very hot day. He has come up with a nice barrier draw but there are a lot of unknowns in the race. He has very nice ability and I expect him to show that in this race.